Here’s what a few of our customers have had to say about us. Have a testimonial of your own to share? 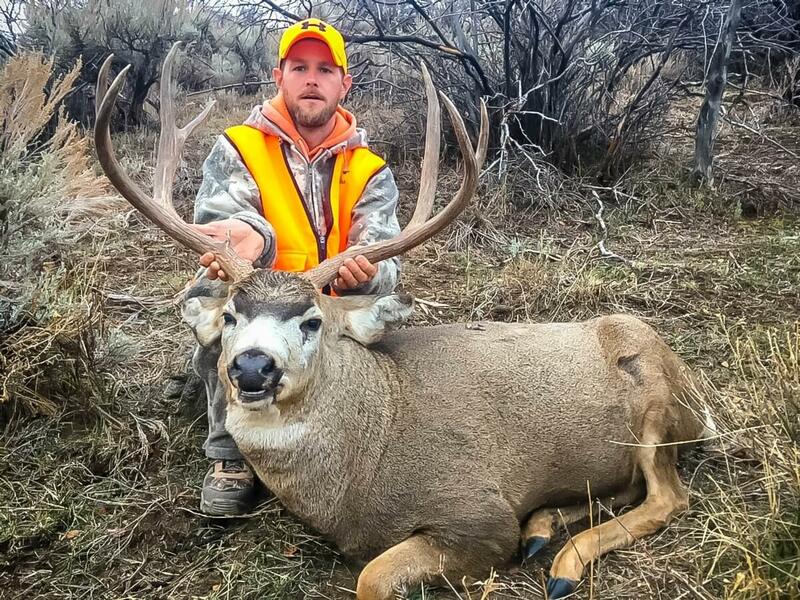 Email us your story and attach a photo, we will put you on our Big Game Hunting Reviews page. I would like to sincerely thank you, Shey, your boys and your staff for a truly exciting and successful mule deer hunt on October 20th! In my 57 years of hunting, I have never been so impressed with the quality, organization and detail of your operation. It was by far not just luck or a chance happening that 4 of 6 mule deer hunters at my ranch location tagged-out on day one with the other 2 having had shot opportunities. I have learned over the years that many many little details combine in making a trophy opportunity a common occurrence. You have the finest ranches, with many of your guides living on those ranches; watching the deer all year long. You have outstanding equipment and communication with each other. Your properties are not over hunted and lastly your dedication to provide the greatest results possible for your hunters is priceless! I saw over 130 deer in one- and one-half days on one ranch. About 15 of them being ‘shooters’ (150” or better). It’s nice to have choices! I was so impressed with your commitment. After taking my buck; you said to me – “I have a DAV hunter who needs to get a good buck – lets go help them”. We did and the result was outstanding. He shot and exceptional buck and couldn’t stop smiling all day!! A memory that will last him (and me) for the rest of our lives. Please feel free to give my phone number to anyone who wants information or a recommendation from one of your hunters. I will be back next year! 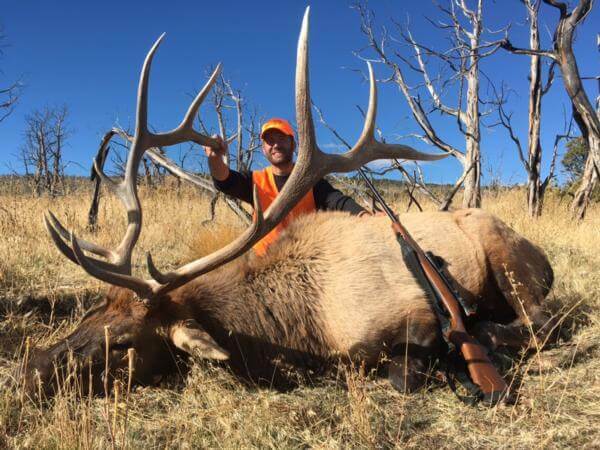 Jeff, a big thank you for the experience of hunting for elk with a bow. Even though the bulls and weather were uncooperative, you and your guides worked very hard and left me with some great memories, especially the elk that I needed “1 more step”. Great week. Your new cook, Rebecca always made the return to the lodge memorable with the fantastic food that she always had waiting. Again, thanks for the great experience. I had a great time hunting with you during archery season. Though I did not have a shot opportunity I was able to see plenty of elk, bear and muley’s so it wasn’t for a lack of animals. When I booked the trip I realized it may be tough hunting with the full moon most of the time and it being in the 90’s certainly did not help. Aside from the hunting the accommodations were great, your family was very welcoming and the food was OUTSTANDING! My compliments again to the cooks for keeping me well fed all week. I sure hope I can do it again in the near future. 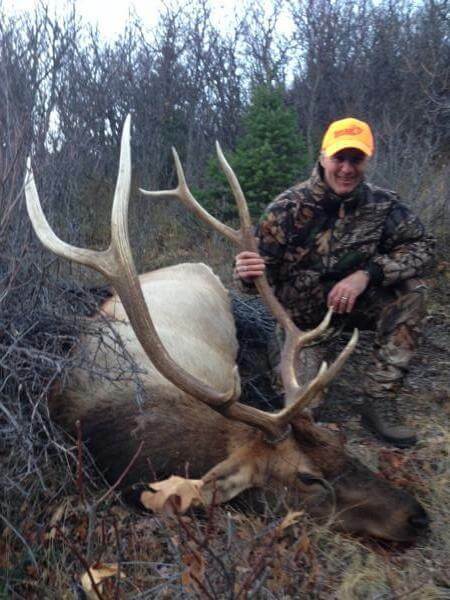 I would like to thank Jeff and his staff for a most memorable trip to meeker Colorado. 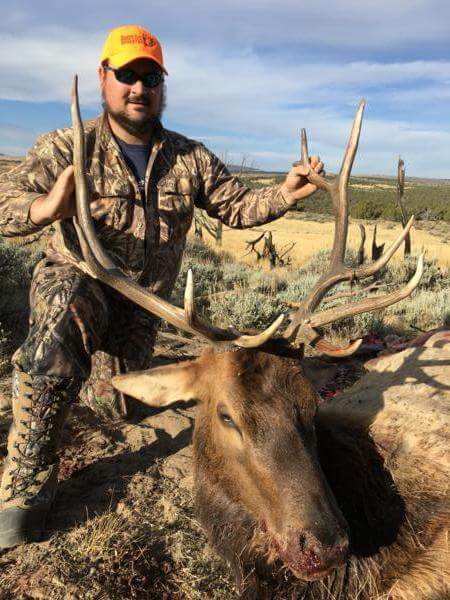 I have only hunted Colorado for two years which was guided by western outdoor adventures and have fallen in love with the hunting areas that Jeff has taken me into hunt. This is a solid place to come. Jeff and his team where all straight forward everything they described and showed me on the trail cameras was right on and meet all my expectations. The food his cook made for us daily breakfast, lunch, and dinner was better than most quality restaurants and defiantly made the experience that much better. 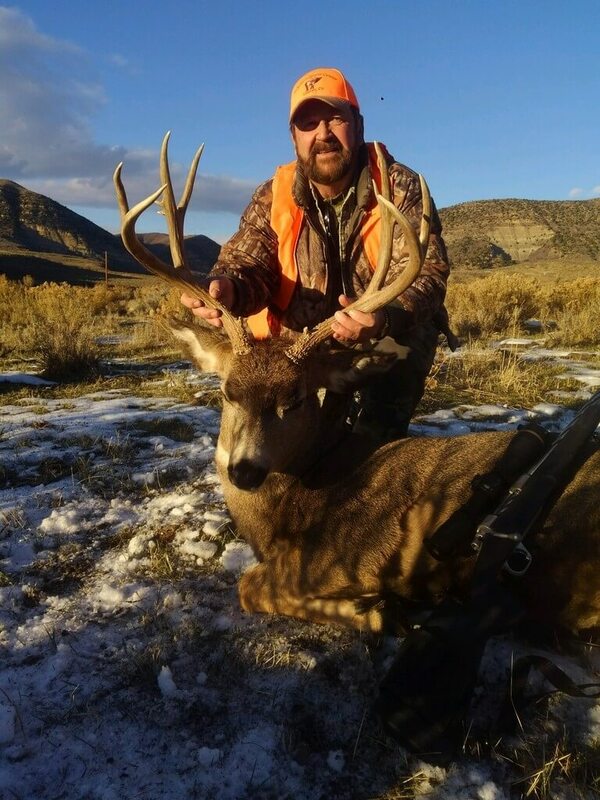 My first year with Jeff I was able to harvest a nice 4×4 mule deer, if I had not gotten buck fever the opportunity to harvest bigger deer defiantly showed itself we saw many quality deer during the week I was there. It was second rifle season (October 2014) with moderate weather. My second year was an archery elk hunt ( September 2015) and this was an adrenaline rush. Jeff was able to show us quality bulls every day we hunted for a week. The weather was unusually hot and the elk had not started talking yet while we were there so Jeff had his work cut out for him and after spotting a couple of bulls on a hill side he was able to get us into shooting distance and called the bulls in to 20 yards, but with all the excitement shooter error, the opportunity was there. This was my first archery elk hunt and it was everything I had hoped it would be thanks to western outdoor adventures. I would recommend this outfitter and plan to continue my hunts with them in the future. Jeff treated us like we were part of his family and the hospitality provided was outstanding. We wanted to thank you for our recent hunting experience. There are many opportunities in life that leave a lasting impression, we recently experienced one of those with our hunt booked with you. From the time we arrived, until we left, your service was exceptional. The accommodations were great, the food was excellent and the hunt was incredible. Seeing so many mule deer was so exciting and I had the opportunity to pick through the bucks until I found one that suited. We appreciated being made to feel like part of your family and we will be coming back! I hunted with WOA this year and had a wonderful experience. The weather was plus or minus but the outfitters can not control that. All in all the entire experience was very positive. The food was good and it was great to be able to have dinner with Jeff and his family. As to the hunting experience Jeff and his guides worked very hard for the hunters. We hunted both mule deer and elk. We had 3 hunters and we harvested 3 deer and 2 elk. I was the only one without an elk but Jeff got me into opportunity to score but I had problems with my reloads not working with my rifle. Overall, I would recommend WOA and I plan on hunting with them again. We were sorry we didn’t get a chance to talk to you before we left on Monday. We decided to pack up and get on the road and we had a very uneventful drive home. It was long, nearly 6 hours, but no issues. My dad and I had a great time hunting with you. Although we were disappointed we didn’t get anything, we know it was not from a lack of effort. That last stalk was a lot of fun, I really enjoyed it. I just wish I could have finished it off with a successful shot. Again, thanks for everything you did and hope you enjoy a little time off now. Thanks for the great hunt with Western Outdoor Adventures. In spite of some tough conditions, we were successful in bagging a nice mule deer and a great bull elk. The guide that you paired me with was phenomenal. One of the best finders of game I have ever seen – he could glass a field in 15 seconds and spot all the game within that area. He was the best guide I have ever had. The land we hunted was beautiful. Northwest Colorado is one of the few unspoiled areas in the country. Also, the number of deer we saw was high – I passed on 4 bucks before we took the one that we harvested. It was a great western hunting experience. Hey just wanted to thank you for the first class, all around best hunting vacation, and Colorado experience! Thanks again to your cook , what a magnificent spread y’all put out, if you don’t need him during the off season he can work at my house down here in Texas. We had such a great time we are still talking about it especially when we get together and enjoy the meat, by the way the, the processor you use does amazing work meat is clean and well cut. They say hospitality is #1 here in Texas, but mabe they haven’t been to Meeker Colorado, y’all treated us like family friends and that made it a comfortable and fun trip. Well here’s to you and your crew ,best guides, cooks, and outfitters in CO. I wanted to thank you for the amazing hunt! I gave you a pretty tough task with asking to get two animals in 2 1/2 days. You definitely came through for me. Now I have two amazing trophies and the memories to go along with it. My dad has been talking about it to all of his friends ever since we got home. The food was great and the accommodations were very comfortable. We will definitely be back again. This was my first archery elk hunt in Colorado and man was it a success. I tried to hunt public land in Colorado with my rifle for the first year as a resident but all I found were other hunters in blaze orange. Every lookout point I sat to glass I could see orange for miles and miles and it only made me less eager to hunt public lands. 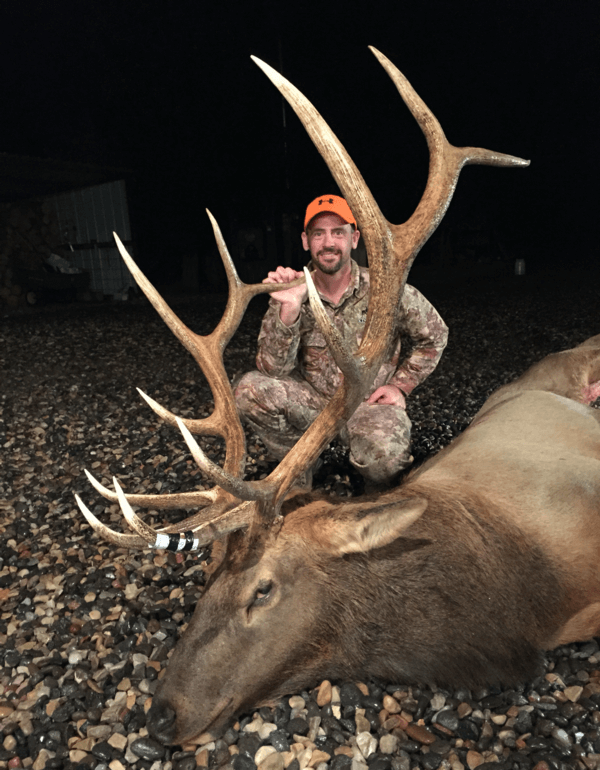 With disappointment to rifle hunting I decided to go back to my bow the second year and that’s where I called up Jeff at Western Outdoor Adventures and spoke to him about getting to know some country in the meeker area. As Jeff guided me through different areas of his private and public land we hunted and saw multiple bulls which were just amazing to sit and watch. Most importantly, Jeff and I became great friends during this experience and I would gladly go back for the opportunity to harvest another great bull elk. Jeff and his family were incredible and the outfit he runs can’t be beat. Aside from being successful; the hospitality, the meals, and the lodging were just what was needed at the end of a long day of hunting. I left Western Outdoor Adventures with great new friends and the desire to return in future years. THANKS TO WESTERN OUTDOOR ADVENTURES FOR THE 2015 EXPERIENCE!